That there is much wisdom here is evidenced by the rule’s brevity. The watching of thoughts (learned from Eastern Christian monasticism) is given central importance; that is, our salvation is closely connected with a kind of psychological salvation. 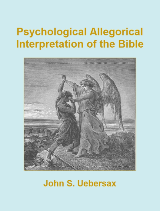 The rule implies that the Psalms supply a guide to this psychological salvation. See also: Psychological Interpretation of Psalm 1.